Guangzhou YouSu (hereafter YouSu) is one of the leading 3D printing filaments manufacturers in China, specializing in high-tech 3D filaments research and development. 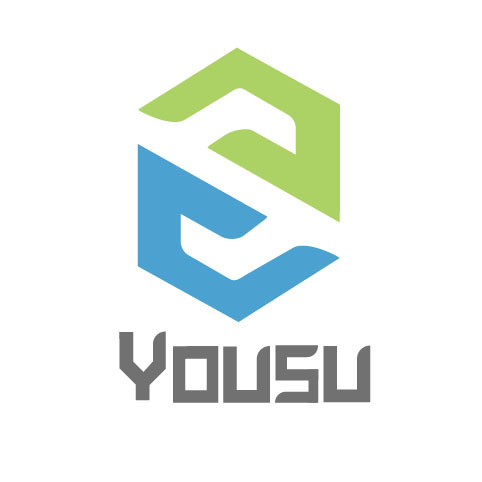 With years of experiences in market exploration, YouSu provides its clients comprehensive pre-sales and after-sales technical services. Based on the hired experts and its own modern factory implanted by a strict management, YouSu Tech has passed the ISO9001 certification, and further completed its filament series which are suitable for FDM-based 3D printers. Recently, the advanced manufacturing devices, test equipment and purest raw materials available are introduced to produce and distribute 3D printer filament of unparalleled quality, to insure all the products of YouSu are compliant with RoHS standard and were granted SGS test certificate. Moreover, guided by the mission of “ Innovation, Quality, Service and Price”, YouSu never cease to advocate innovation and reforms in its 3D printing filament technology , thus developing successfully its own cutting edge 3D pen series. As a reliable and professional 3D printing company, YouSu is committed to expanding its product line both in material chemistry and colors, as well as to support the customers and business partners with the best service possible. Since 2017 when Yousu launched its own brand of Idrawing 3D pen, there’s been a dramatic shift away from traditional manufacture towards modern business and commerce. The new 3D presented much advantages such as no jamming issues, slim design, USB connect, PCL compatible, more stable and reliable, fast nozzle replacement etc. These features inspire the user’s creativity, practical ability in drawing three-dimensional objects. Moreover, Idrawing 3D pen has already been widely used in the educational, industrial fields and has been applied in children's intelligence toys, aesthetic creations, etc. The primary customers could enjoy the pleasure of drawing, even transfer their ideas and designs to a real 3D creature, to establish a realistic utopia. The filaments that Yousu producted for 3D pen and 3D printer cover all kinds of colors as Normal, fluorescence, Glowing in the dark, transparent, thermo-sensitive, photosensive series. The materials of Yousu filament include ABS、PLA、TPU、PETG for consumer application, and PC, PVA, PVB, PEI, POM, and other products for industrial applications.